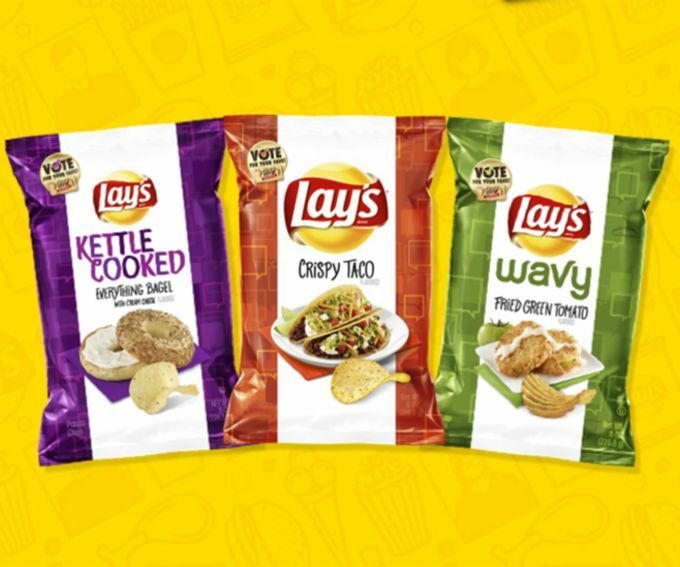 Since 2012, Frito-Lay, a division of PepsiCo, has been running an annual crowdsourcing campaign to determine new flavors for its Lay’s brand potato chips. Executives hoped to achieve a 3% bump in revenue from the campaign in its first year, but they achieved nearly 12%. Has PepsiCo cracked the code to engaging millennials in their (remarkably unhealthy) chips brand? If so, can they transfer these learnings to other snack food brands? And should they? PepsiCo currently has a struggling beverages business and a high market share and growth snack foods business (Frito-Lay). Per Forbes, “Soda retail sales in the U.S. declined 1% last year, whereas the domestic snack food market worth $35 billion grew at a CAGR of 3.8%. PepsiCo, holds around 28.7% volume share in former market, second behind Coca-Cola’s 42.4% share, but dominates the latter market with a 36.6% market share. The next biggest manufacturers in this sector are Kellogg’s and Mondelez with much smaller 7% and 5.6% share respectively.” However, Frito-Lay has been growing increasingly worried about losing the millennial and next generation young consumers who provide the backbone of consumption for potato chips to healthier snack options. 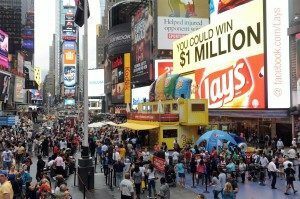 Frito-Lay established the “Do us a flavor” campaign in 2012, setting key extrinsic motivators (i.e., cash prizes up to $1M, public recognition) and intrinsic motivators (e.g., shaping the course of favorite snack food) motivators to engage large crowds of external stakeholders (up to 14M in latest iteration). These prizes, and a thoughtful effort to engage millennials through their home channels (e.g., an app on Facebook which was up to 22.5M views / week) as well as creative one-off channels (e.g., pop-up store in Times Square with ability to taste finalist flavors), led to significant participation and tons of earned media for Frito-Lay. To manage the crowd (which inevitably trolled Frito-Lay with flavor suggestions such as “Alligator Butter” and much more inappropriate options) Frito-Lay used a semi-democratic process to internally choose the finalist flavors (a set of 4) and left the choice between the final 4 to the crowd in a second wave of voting; this two-step process was critical to avoid such well-known crowd sourcing failures as the “Boaty McBoatface” debacle. Reviews of the campaign online are majority positive, with a vocal minority who argue that the mere suggestion of flavors such as “Alligator Butter” and the inexplicable fact that “Cappucino” made it to the final round is an indication of a failed process. These minority detractors totally miss the mark – they fail to account for the enormous amount of earned media Frito-Lay acquires around these crazy flavor suggestions (earned media they are themselves contributing to! ); according to Forbes, “Ad awareness has increased by 2 per cent, and Lay’s Buzz score is up 3 points.” Provided the value of this earned media is greater than any damage the brand suffers from being associated with crazy flavors, then it is a great deal for Frito-Lay. Another potential challenge of the annual campaign is whether the cost to administer it is sustainable; here PepsiCo has been fairly silent in its corporate reporting documents, but it seems plausible that the campaign is sustainable for two reasons: 1) earned media ROI described above, and 2) displaced R&D costs. Regarding R&D, PepsiCo’s budget has ballooned over the past 5 years, with an almost 50% increase to ~$750M; it is believable that the counterfactual may have been even higher if they had not tapped the crowds for Lay’s suggestions. 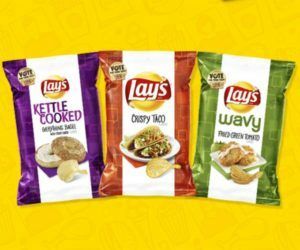 With new chip flavors selling out the weekend they are introduced, and double-digit bumps to the revenue of their overall product line, Frito-Lay seems to have backed into a powerful tool. 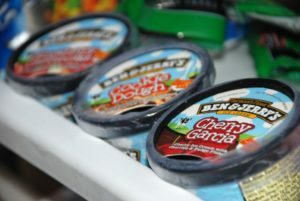 The results are all the more impressive in that they have been sustained – consumers seems to be getting more engaged, not less, with the “Do us a flavor” campaign. PepsiCo could potentially leverage similar campaigns in other parts of their business, particularly their struggling beverages lines. There is some risk of cannibalization of attention from their current Lay’s campaign, and risk of duplication of costs to build a new campaign staff. However, it seems likely that the potential benefits would outweigh those costs; risk could be further mitigated by taking an integrated PepsiCo approach to the campaign (rather than having the chips and beverages units run their own). Desirability is another matter – do we really want PepsiCo to turn this powerful tool toward creating increased millennial engagement with their sugary drinks business? Aren’t chips bad enough? Given PepsiCo’s concerted effort to build out healthier and more wholesome beverage lines over the past several years, I personally would rather see them leverage this powerful tool in that area. Very interesting! However, I am curious how much is the production cost to change flavor X to flavor Y in a short time. They need to change the package, the seasoning, etc including their manufacturing process and quality control at the first step before advertising it. Do you think the increase in sales will cover that cost? Very interesting read. I’m actually surprised that it’s gaining popularity as it does feel a little gimmicky as mentioned above. I wonder if they could actually use a similar campaign to come up with new items all together as people become more health conscious and move away from chips. For example someone could suggest crisps made of cauliflower seasoned with buffalo sauce or something healthy / random that they may not have thought of.